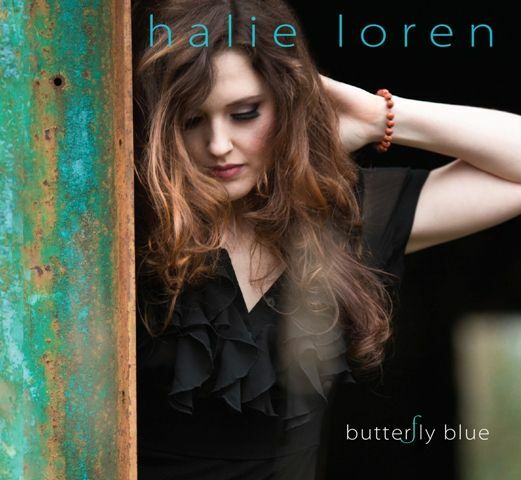 Butterfly Blue, the stunning and soulful new album by international singer and songwriter Halie Loren, evokes poetic images of metamorphosis through struggle and transcendence, tinged with bittersweet melancholy. "A lot of these songs were chosen because they explored different aspects of imprisonment and freedom," Loren explains. "Many of them have to do with ideas of being beholden to thoughts, feelings, and experiences from which you alone can also free yourself." Through a soundtrack that includes guitars, piano, organ, double-bass, horns cellos, and layered vocals, "Butterfly Blue” weaves together a diverse and rich musical array of original songs, unique reads on standards, and little-known covers that have been long-treasured pieces of Loren's repertoire. Here, she draws inspiration from blues and soul influences while unapologetically planting one foot in the jazz realm and the other in pop without losing any of the warmth, charm, and sensuality that has always characterized her unique vocal approach, ultimately revealing a deeper, more nuanced side of Loren’s artistry featuring strength and vulnerability in equal measures.